Two years ago, Startup Estonia launched a cleantech ecosystem development pilot programme that has now grown out into an independent NGO - Cleantech ForEst (Cleantech for Estonia). Startup Estonia aims to supercharge the Estonian startup ecosystem, to have more international success stories and foster sectors that have great development potential. According to the Estonian Smart Specialisation report, cleantech holds a remarkable potential to drive economic growth. That understanding is supported by world trends, with a growing need for efficient and sustainable solutions. 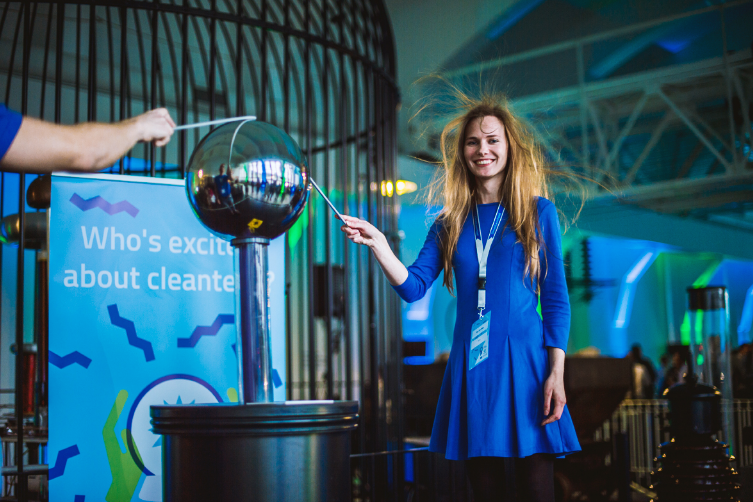 Based on these findings, in 2014, Startup Estonia launched a Cleantech Pilot Programme, with an aim to accelerate the development of Estonian cleantech startup ecosystem. To reach that goal, it was important to firstly identify the bottlenecks and shortcomings in the ecosystem; and secondly to kickstart startup support programmes together with the local and international stakeholders. According to the Cleantech Programme manager Marit Sall, the problems in the Estonian cleantech ecosystem included high fragmentation of the sector, lack of collaboration between support organisations and few cleantech startups, which resulted in both inadequate business experience and mentors. “When putting together our startup programmes, like hackathons, business competitions and the accelerator, we were concerned whether and where we would find teams who can develop green solutions that have the potential to change the world. However, we were positively surprised by the number and high technical quality of the solutions that we found, and the burning problems that these technologies can potentially solve.” With the help of our business support programme ClimateLaunchpad, several success stories were born, like online marketplace for textile leftover Reverse Resources and a demand response aggregator Sympower. “It was the growing need of early stage startups that supported the idea of establishing an independent support and network organisation, which would focus solely on empowering the Estonian cleantech businesses,” said Sall. During the two years of its pilot, our Cleantech Programme managed to gain international recognition and create a real tight-knit local community. We launched a cleantech business accelerator to reach investor readiness, together with EU’s main climate innovative initative Climate-KIC. Set up cooperation with around 40 support organisations across Europe, like corporate matchmaking platform Nordic Innovation Accelerator. The highlight of the programme was by far the recognition and trust from the European cleantech community that came through the opportunity to organise the world’s largest green business ideas competition ClimateLaunchpad’s European Finals in Estonia in 2016. With 90 startups from 30 countries participating, the event was crowned with Estonian leather-like textile developer Gelatex winning the show. Startup Estonia is happy to see that our pilot programme and the need for an independent and sustainable cleantech support organisation has addressed a strong group of influencers in the cleantech field in Estonia. Besides Marit Sall, Cleantech ForEst founders include Peep Siitam - entrepreneur and a lead researcher in the “Estonian Energy Management Development Plan for 2030” for the Estonian Development Fund; Indrek Kelder, former SmartCap investor and a business mentor, and cleantech expert Kaija Valdmaa with experience from Tallinn Science Park Tehnopol and Pakri Science and Industry Park. The organisation will be led by Erki Ani, entrepreneur and a founder of Tallinn Technical University Greentech Club. People interested in cleantech are encouraged to check out the upcoming opportunities provided by Cleantech ForEst: professional mobility scholarship Pioneers into Practice; mentoring event Cleantech Idea Day with cleantech business expert Ron Bloemers; 24-hour bioeconomy hackathon in cooperation with Nordic Council of Ministers and the green business ideas competition ClimateLaunchpad. Startup Estonia would like to thank our partners who have made the cleantech pilot programme a success, by supporting and working with us: Ministry of the Environment, Tallinn Science Park Tehnopol, Norden, Marble Invest, Garage48, Pakri Science and Industry Park, Enefit (Eesti Energia) etc.